Unaccompanied minor migrants enjoy four days at a United Methodist summer camp. They point out their home towns and trace the journey they took to arrive at U.S. border on a large wall map. Photo courtesy of California-Pacific Conference. For four days in June, United Methodist Camp Colby is a respite for children and teens who traveled a long, dark and dangerous journey. These children, some as young as 8, are known as unaccompanied migrants and they arrive on the border of California alone and afraid. Their families in Central America send them away to escape gang violence and hopefully start a new better life for themselves in the U.S.
United Methodist leaders in the California-Pacific Conference started thinking about a way to show them welcome and shine God’s love on them. The results is No Estan Solos, You Are Not Alone. 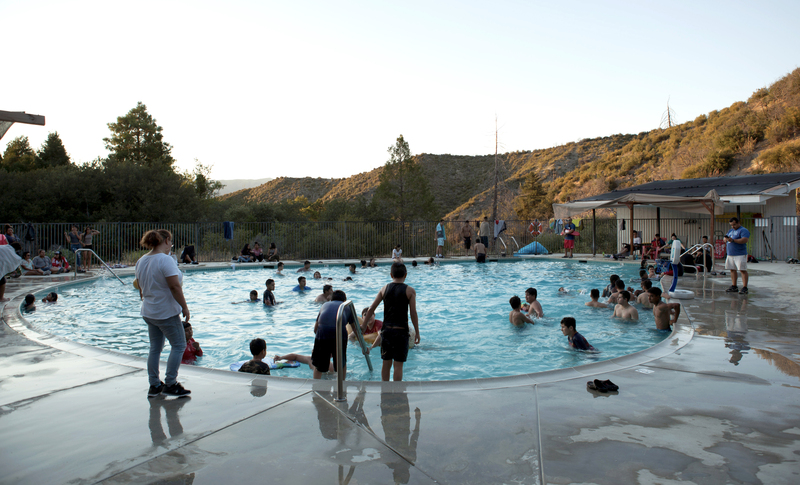 Youth from Central America enjoy swimming and other outdoor activities at United Methodist Camp Colby in Southern California. The youth arrived in the U.S. as unaccompanied migrant minors. Photo courtesy of California-Pacific Conference. Just like thousands of U.S. children attending summer camps, these Central American children get four days to go hiking, sing around a campfire, make crafts out of construction paper and glue, and find best friends for life. The retreat and church-based welcome centers were established by the conference in 2014 in response to the thousands of unaccompanied minors coming into Southern California primarily from Guatemala, Honduras, El Salvador and Nicaragua, said the Rev. David Berkey, director of Camping Ministries and Operations for the conference. The kids, who usually speak no English, end up in the care of agencies, enroll in school and try to adapt to U.S. culture and life, Berkey said. A $350,000 grant from the United Methodist Committee on Relief was used to create welcoming congregations and other programs like the retreat in the California-Pacific Conference. In 2016 two additional events were added — an Advent retreat for girls at Aldersgate Retreat Center and an overnight hike retreat for boys at Camp Sturtevant. 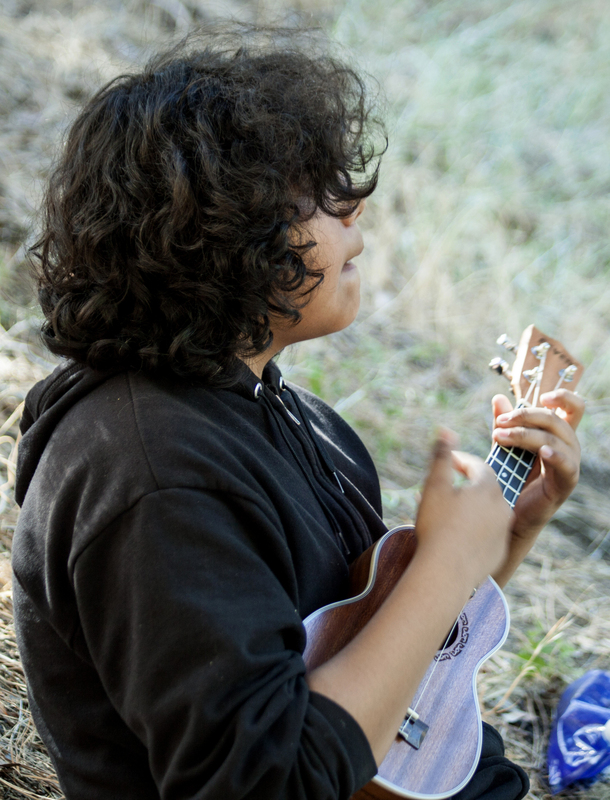 A young boy plays ukele at United Methodist Camp Colby. Photo courtesy of California-Pacific Conference. The church’s compassionate embrace of these young people is needed now more than ever, said the Rev. David Farley, director of Justice and Compassion Ministries for the conference. “It is crucial to continue and to grow this ministry in these times of increased cruelty when families are being separated, or incarcerated with their children, when children like these and their families are criminalized for seeking asylum and sent back to the violence from which they have fled. We give thanks to God that we have this program in place at this crucial time,” Farley said. 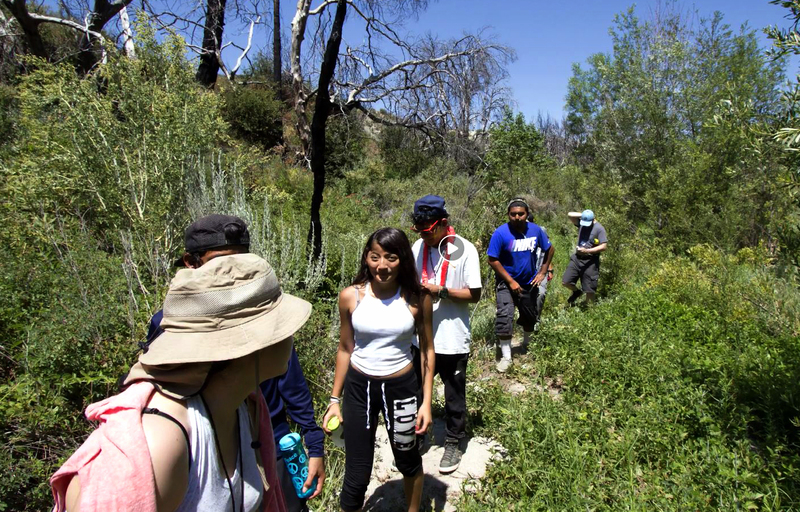 The first camp in 2015 had 38 campers — ages 10 to 18 — referred from agencies in Los Angeles. “The design was to help them feel welcome, share their story with one another, find community and support in small groups and envision a healthy future,” Berkey said. Berkey said they learned a lot from that first year and started revising the program. The second year had 48 junior high and high school age campers. The third year, they decided to take all children and youth who applied, ending up with more than 80 campers. That was too much for their limited staff, Berkey said. The California-Pacific Conference has information, brochures and video about the No Estan Solos (You Are Not Alone) Camp. Learn more about the camp, counselors and children of the No Estan Solos program from this Facebook video. “We had 30 show up this year, junior high and high school ages, 13-17, 10 boys and 20 girls. Forty had enrolled but some got scared to come, as has happened every year, and some had summer school. Each year the planning gets better as we learn and we have a strong staff doing this ministry,” he said. The camp is conducted in Spanish with bilingual leaders coached by Jennifer Berry, camp director, and Broghan Hunt, program manager. Since the UMCOR grant ran out in 2017, funding for the 2018 camp has come from donors and other grants, he added. One unexpected benefit from the camp has been that the children and teens who once viewed each other as being from rival countries and cultures are finding they have a lot more in common and are finding friendship and support, too, Berkey said. “They were asked at camp in one activity to vision their life five years from now through art. They created a mural in which they saw themselves as lawyers, nurses, in business, parents, living in the U.S. and happy. It was very moving,” he said. Farley said they try to keep the campers connected with one of a network of welcoming United Methodist congregations. Those include Huntington Park United Methodist Church, San Fernando Valley Refugee Children Center Inc., Claremont United Methodist Church (Spanish) and IMU Manantial de Vida y Luz, United Methodist Church Escondido. The camp is making a difference for the kids, Farley said.